I take a ‘drama process’ approach to teaching drama. I coined the steps of that process as follows: planning, preparing, rehearsing, performing, reflecting & evaluating. 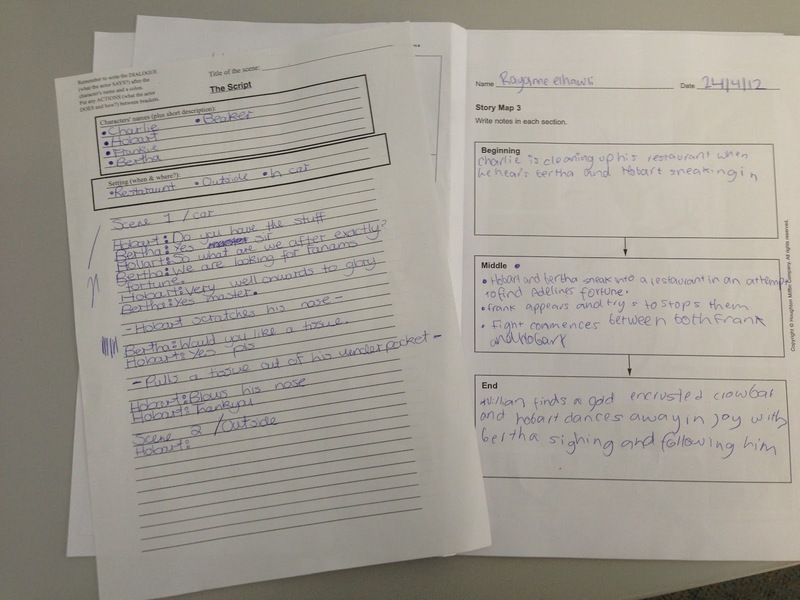 Previously, I used to expect students to produce written evidence for every step of that process for one major performance at the end of the unit-of-work. However, that disengaged students because it was “too much writing” for only a two-minute performance, and I have to agree. This term, I tried to adjust my expectations a little bit. I started only asking for evidence of planning or preparing or rehearsing pre-performance, and of reflecting or evaluating post-performance. So an example lesson would look like this: a quick warmup followed by a debriefing, then a discussion of the new content/concepts, then a quick performance task to apply the new content/concepts. All students would have to prepare a quick brainstorm (as evidence of planning), or write a short script or draw a storyboard (as evidence of preparing), or fill-out a rehearsal log (as evidence of rehearsing). After watching all performances and giving/receiving feedback, all students would then either write a reflection or self-evaluation or use a self-assessment checklist (as evidence of reflecting & evaluating). This seems like a very manageable lesson plan. However, I only see the students for one double-period a week, so that’s a total of 86 minutes. For me to get through that whole planned lesson in 86 minutes, I would end up being very cranky and snappy and rather impatient, which is unfair to the students. Drama is a noisy and loud classroom, and is a highly-stimulating subject for both the students and teacher. Students take time to think and then write and then transition between activities. While I have managed to get through the planned lesson several times with many classes, I would end up feeling very tired and drained by the end of the lesson. This is worse on Tuesdays, where I have three double-periods of drama in one day! Also, the lesson does not necessarily cater for all students’ learning styles as I’d like to believe. 1- I will not to be over-ambitious, not because my students can’t handle it, but just because it will burn me out. 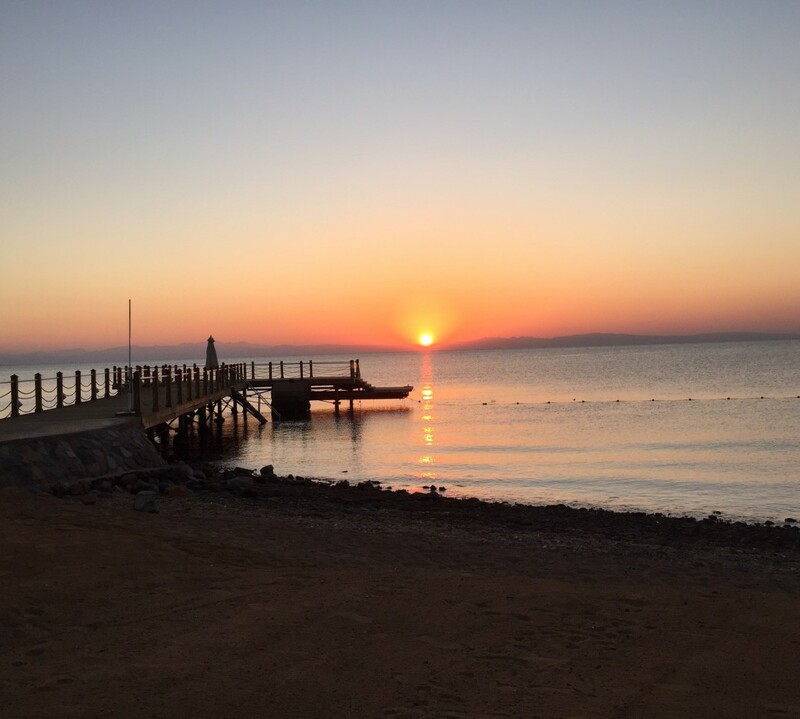 2- I need to let go of control a little bit, and relax. 3- I need to give students more time to enjoy the practical activities and the noise and loudness associated with them. 4 I need to give students more choice as to how they want to produce evidence of their learning: one group member might want to write a reflection after performing, while the other might prefer to draw a storyboard before performing. I need to allow those choices, as opposed to force everyone to write a script, or draw a storyboard. Students learn differently! 5- Every week, I will alternate between pre-performance evidence, like brainstorms, scripts, storyboards, and rehearsal logs; and post-performance evidence, like self-assessments, self-evaluations, and written reflections. 6- When asked to demonstrate pre-performance evidence, I will allow students to choose, even if they choose different things within the same group: one group-member might choose to write the script, while the other to draw the storyboard. Students learn better and are more engaged when they are given more choices. Yup, you read it right! It is an EIGHT WEEK-LONG task! This is the longest assessment task in my history of teaching (which isn’t that long really, six or so years?). I’ve designed this task as part of a unit of work about the process of staging a play, with a focus on melodrama as a theatre genre. The task will be used to assess [Criterion A – Knowledge & Understanding (using a peer evaluation)], [Criterion B – Application], [Criterion C – Reflection & Evaluation] and [Criterion D – Personal Engagement] from the MYP Arts Assessment Criteria. 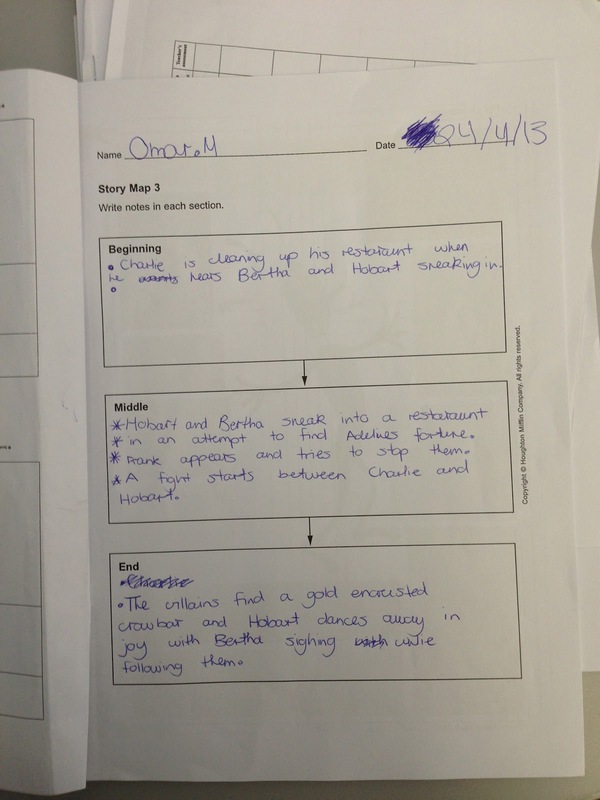 I wrote previously about how I introduced the unit of work to the students. The students were given this task booklet which they will use for the whole duration of the task. The assessment task basically requires the students to read an excerpt from a melodrama script, write up a beginning and an ending for that excerpt, create a mask to represent their character in that excerpt, apply character-analysis and rehearsal techniques to rehearse their scene, perform their scene in front of the class, give and receive feedback to and from their peers, and then reflect on & evaluate the whole process. The students have to demonstrate evidence of every step of the process, as the unit of work’s significant concept is: The process is just as important as the product. Additionally, I will be assessing the students throughout every step of the process, as I walk around with my Evernote notebook and write anecdotes and fill-in quick checklists. We have already been working on this task for two weeks, and the students have brainstormed in their story maps, and started writing up their beginning and ending. It has been rather challenging for students to decode the scripts’ meaning as they were given only a few pages right from the middle of the chosen scripts. I did have to intervene and scaffold them slightly, maybe next semester I will find easier and simpler script excerpts. This week we will move into the art room and get artistic with the mask decoration. 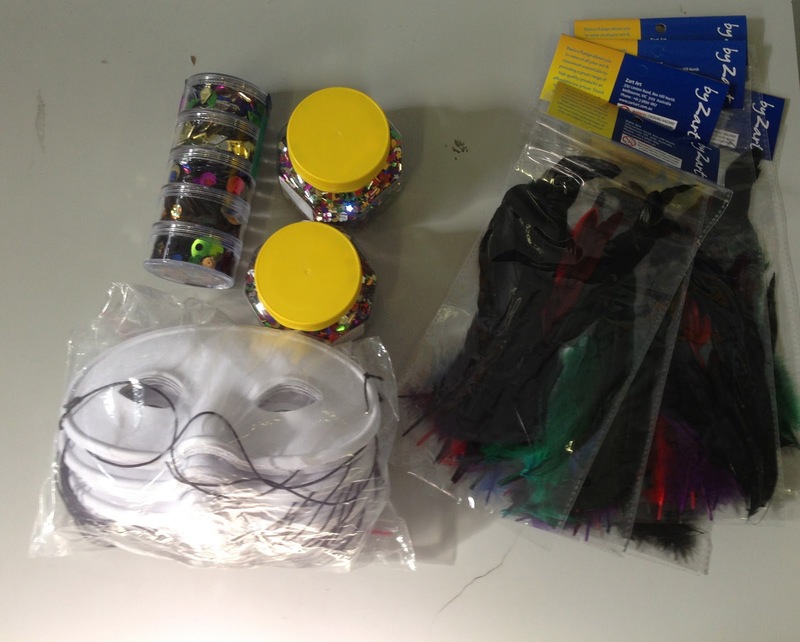 We have blank white half-masks, feathers, beads, glue, coloured tissue-paper, sequins and scatters. I’m very excited! 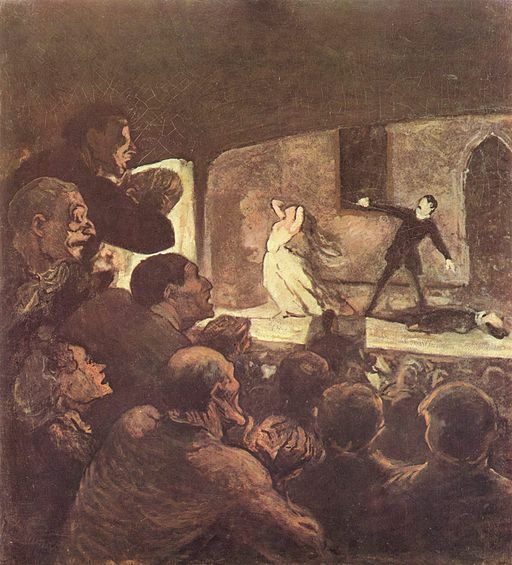 March 27th is World Theatre Day (WTD). This year, I received a message from a teacher from the United States on Twitter, Nick Cusumano. He approached a number of drama teachers in the Twitterverse, and suggested we do a collaborative video showing our students reading ‘All The World’s A Stage’ monologue from Shakespeare’s ‘As You Like It’. Exploring stock characters and lazzi in Commedia Dell’Arte! A lesson on status relationships in Commedia Dell’Arte! Over the past two weeks, the year 8 and 9 groups were expected to demonstrate their “knowledge & understanding” (Criterion A of the MYP arts assessment criteria) of Commedia Dell’Arte. They did so through a research & oral presentation task. This week we started the practical aspect of the unit of work. The learning objective for this week’s lesson was “to identify and apply some elements of Commedia Dell’Arte” (Criterion B – Application) and “to practice reflection and evaluation in drama” (Criterion C – Reflection & Evaluation). The focus for this week was on status relationships and the role they played in Commedia Dell’Arte performances. The lesson started with a warmup called ‘Status Conversations’, where the class was divided into pairs; each pair starts improvising a conversation as equals, and somewhere during the conversation one of them has to regain a higher status. Once a student achieves a higher status, they must stand up while the other student sits down. At any point during the conversation, the one with the lower status can regain the higher status and thus stand up while the other sits down. It was pretty interesting seeing how often the status shifted between the student pairs. After the warmup, we had a whole class debriefing about this warmup exercise and ultimately linked it to the lesson’s learning objective. I then went on to explain the importance of status in Commedia Dell’Arte and how characters were either Masters (highest status), Lovers (middle status), or Servants (lowest status). I also gave examples of each type. I told the students that we’ll put aside Commedia for this week, and just focus on status relationships for the performance exercise to follow. The students were then divided into groups of four, and each group was given a list of characters in decreasing order of status (e.g. ‘Principal, Head of Department, Teacher, Assistant Teacher’ or ‘Sheriff, Sergeant, Detective, Cop’ or ‘Manager, Agent, Secretary, Cleaner’ etc…) They were asked to prepare a one-minute scene to show and exaggerate these status relationships. The students were given ten minutes to quickly prepare and rehearse their scenes. After all groups finished their performances and received audience feedback, the students were then asked to individually write their four-sentence reflections using the reflection help-sheet. The students had to write these on paper (not on their iPads). Each student received my initials on their reflection after I read it (this helps with my formative assessment). Overall, I think it was a very busy but successful lesson which had a performance aspect, a reflection aspect, and a peer-evaluation aspect. Thus the students practiced three essential drama ATLs (approaches to learning): peer evaluation, self-reflection, and performance. The students seemed very engaged with the warmup and performance exercises, and the peer evaluation forms seemed to really focus the feedback the performers were given and make it more specific. However, I have yet to devise an efficient way to distribute the peer-evaluations back to the students being evaluated. Next week, we move on to other elements of Commedia Dell’Arte: stock characters, use of half-masks and lazzi. I’m looking forward to it!